TENERIFE ATTRACTIONS, BEST PLACES TO VISIT ON THE ISLAND. Attractions of Tenerife, places to visit. 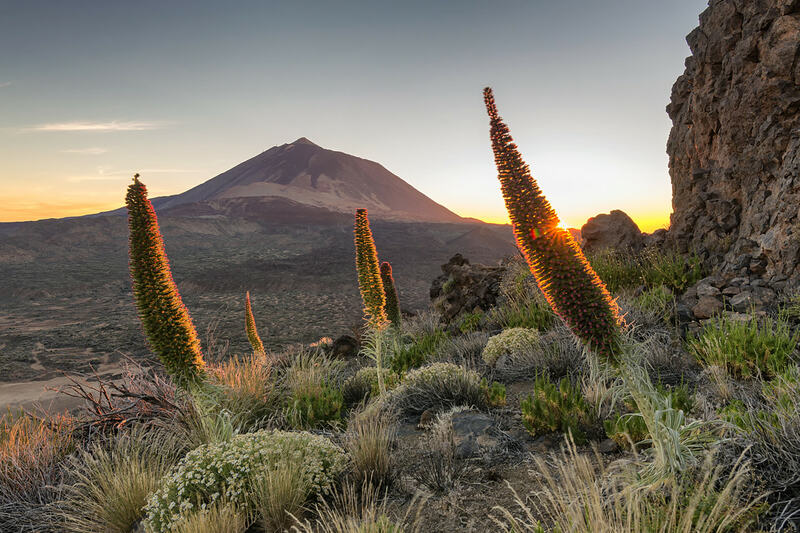 If there is one place you can’t miss when visiting Tenerife that is definitely the Teide National Park; declared UNESCO World Heritage Site in 2007 the park is home to the volcano Teide, the third highest in the world (if measured from the ocean floor) following only the Hawaiian Mauna Kea and Mauna Loa. The landscape which currently comprises the park is the result of thousands of years of volcanic activity which have given rise to the 3718 metres high volcanic cone that gives the park its name. The word Teide comes from “Echeyde” which means hell in the language of the Guanches, the aboriginal people living in Tenerife before the Spanish conquered the island in 1496; for them the Teide was a sacred place, the gate of hell; they believed that here dwelt an evil being, a sort of demon who they called Guayota. The lunar scenery of the park has inspired many film directors, in fact here several famous movies have been shot, for example “Planet of the Apes” in 1968 and “Clash of the Titans” in 2010. In the middle of a fantastic natural scenery which you will never forget, we find Masca, a little village where the time seems to have stopped. This place cannot be described, as words do no justice, it has to be seen! 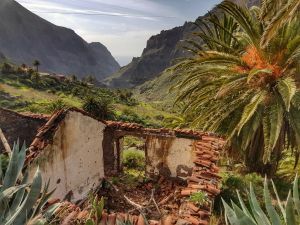 Just sit under a shady palm tree and experience the silence and the beauty of this forgotten village; also take time to discover the flavours of Masca, such as the golden almond cake, or the soft and fresh goat cheese together with their famous air dried ham. Taking the road which passes by “Rocas del Fraile”, it is possible to reach Punta Teno, the extreme north west of the island; here we find a lighthouse from which we get a beautiful view of the western coast and the majestic cliffs “Los Gigantes”. Founded by bankers from Genova, Garachico is for sure another place that you can’t miss when visiting Tenerife; the eruption of Trevejo volcano in 1706 put an end to a period of prosperity in the town and changed it forever. Lava destroyed most of the old town centre but some buildings remained standing; among these the most noteworthy are the Baroque palace “Palacio del Marques de Adeje”, the church “Iglesia de Santa Ana” and the fortress “Castillo San Miguel” built to protect the town from attacks of pirates. The big rock in front of the town “Roque de Garachico” and the natural pools are the symbols of Garachico; for swimming, you will find nowhere better than the beaches of “La Caleta” and “Aguadulce”, where the water is crystal clear. In the outskirts, Los Silos deserves a visit to see the Baroque statue by Juan de Mesa, which is kept in the church “Iglesia de Nuestra Señora de la Luz”; in the area surrounding the town you will be delighted by features of the landscape such as the “Roque Blanco”, the “Bosque de Aguas” and the “Cuevas Negras”. 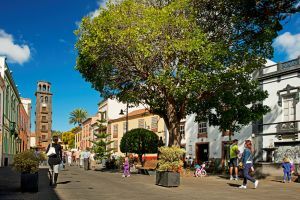 A town with superb architecture and cobbled streets, whose emblem is the “Drago Milenario”, the Millenarian Dragon Tree; the scientific name of this plant is “Dracaena Draco” and is endemic to Macaronesia, that is why it is the symbol of Tenerife. The one we find in Icod de Los Vinos is the oldest living plant of this species, the perimeter of the trunk measures 20 metres and it is 17 metres high, from base to crown; its age is estimated to be between 800 and 1000 years. For the Guanches, the aboriginal people inhabiting Tenerife before the Spanish conquered the island, this was a holy tree and they believed its sap could cure all sorts of illnesses; the legend says that when these trees died they transformed into dragons. It is a pleasure to stroll through the streets of Icod de los Vinos, whose name – Icod of the Wines – pays homage to the ancient name “Ycoden” that the Guanches gave to this region and to the wines of the area, fruit of the vines which began to be planted towards the end of the 15th century by the Spanish colonists. This town is home to the first church to be built on the island in 1496, the “Iglesia de Santiago”, as well as various peaceful shrines; if you prefer to admire the neoclassical buildings, don’t miss the “Palacio de los Fleitas” and the “Casa de los Caceres”. 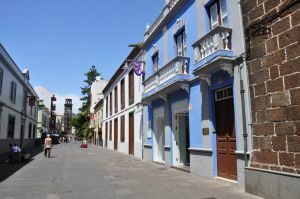 In Calle Gonzalez Trujillo you can see the Franciscan church and monastery of the 18th century; even more interesting is the church “Iglesia de San Marcos”, whose first floor was built in the 16th century and which has got a museum of sacred art, home to sculptures by artists such as Alonso Cano, as well as the oldest statue in Canary Islands of the 15th century, which represents Saint Mark, to whom the church is dedicated. The full name of this delightful city, with its unrivalled display of traditional Canarian architecture, is San Cristobal de la Laguna and refers to a lake which once existed in this area, called Aguere, after the Guanche people; in 1837 it was drained and turned into cultivated land. La Laguna was originally a military encampment for the troops of Fernandez de Lugo; afterwards, many of his campaign troops from the conquest settled there with their families. 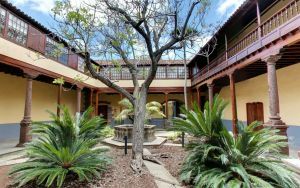 At the same time, various religious orders were building their monasteries in this area; in 1792 San Fernando de La Laguna University was established , giving the town a very dynamic social and cultural life, which it still enjoys today. On the 2nd of October 1999 UNESCO declared La Laguna a World Heritage Site. 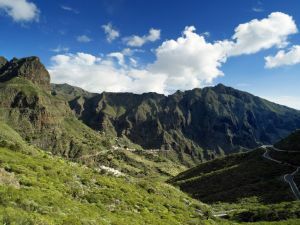 Things to do in Tenerife, best excursions.